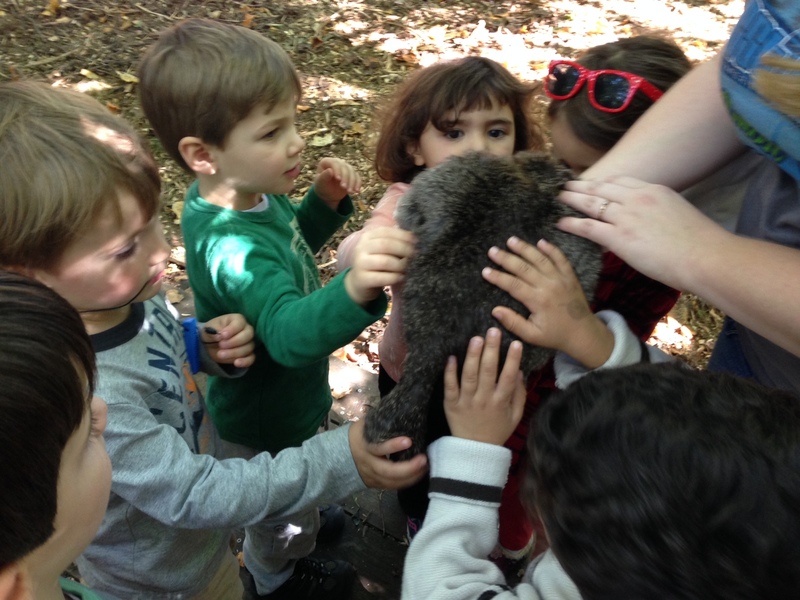 The Nature Detectives had a really wonderful week outdoors in the gorgeous fall weather. We were very productive! We revisited the Lookout area a few times this past week to work on the stick fort. It now has walls and is partially roofed! We also went on a squirrel themed walk with Alex on our naturalist hike and saw a black squirrel collecting food for winter. 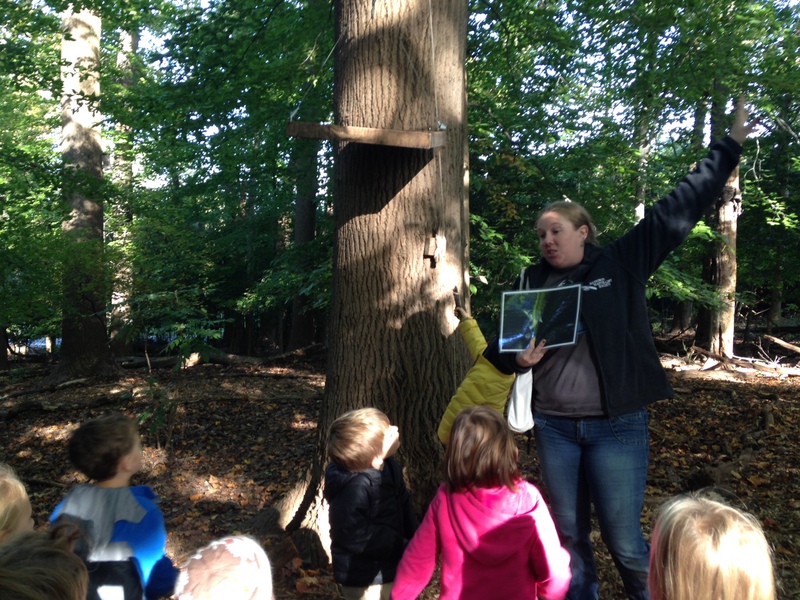 The kids also learned about the flying squirrel feeder that is located in the outdoor amphitheater. 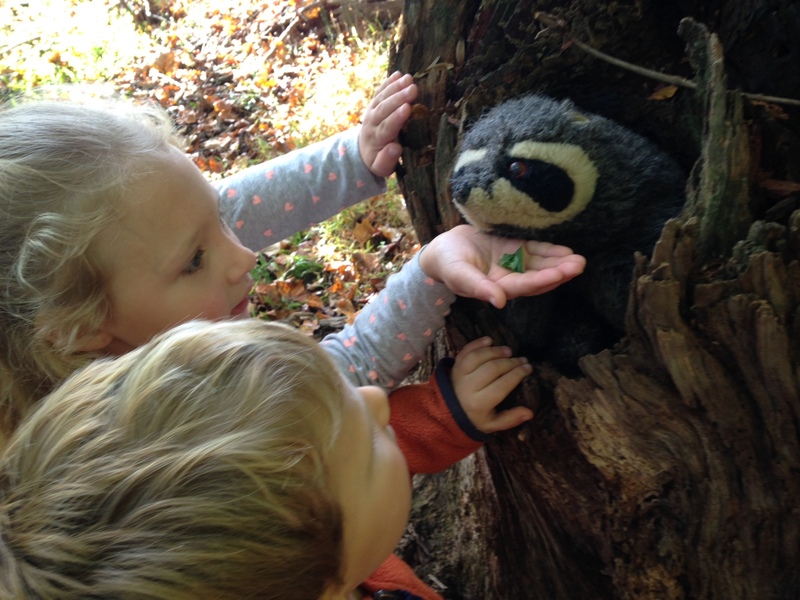 The PM Nature Detectives saw not one, but two snakes while out on hikes this week! Making a home for Chester. 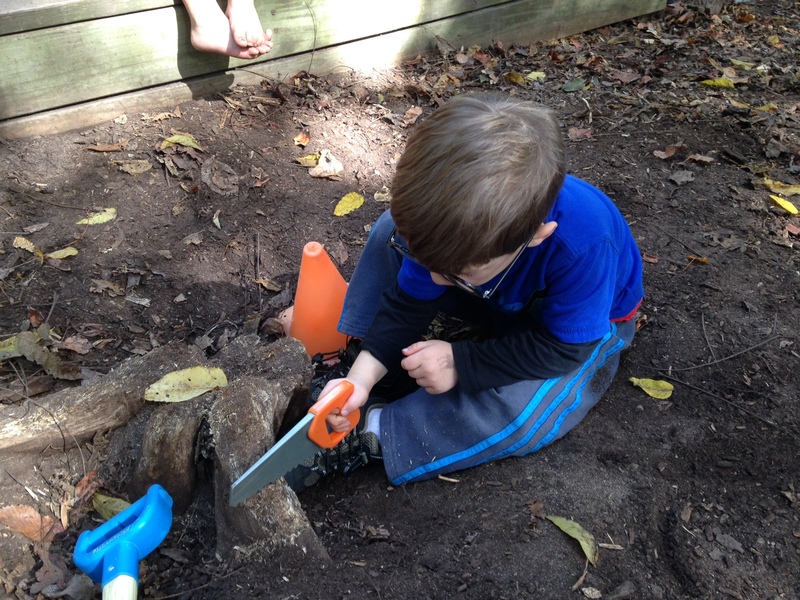 While on hikes, the Nature Detectives explored the dry creek bed which meanders through the property. The children also collected leaves for a print making art project which became decorations for the classroom and for their celebration crowns. 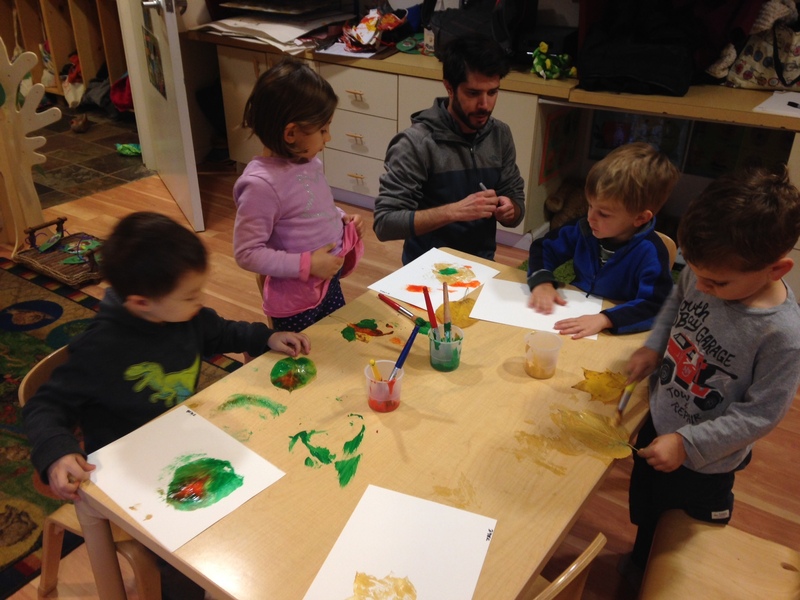 The Nature Detectives did a lot of art in preparation for the fall celebration this week. 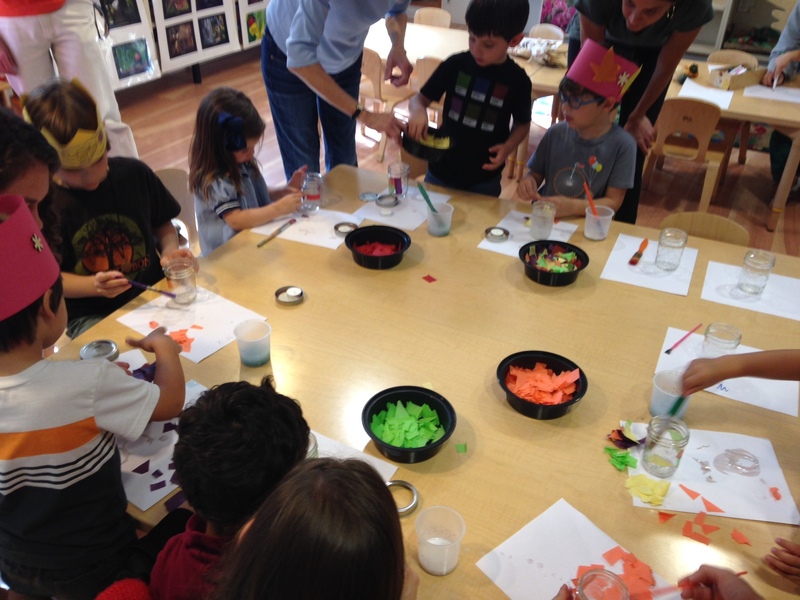 They made colorful pumpkins and leaves by shaking paint-covered natural objects around in a shoe box, made leaf prints and of course, their fancy crowns. We opened up new blocks for building with in the block area and seeing the new structures that they made was incredible! 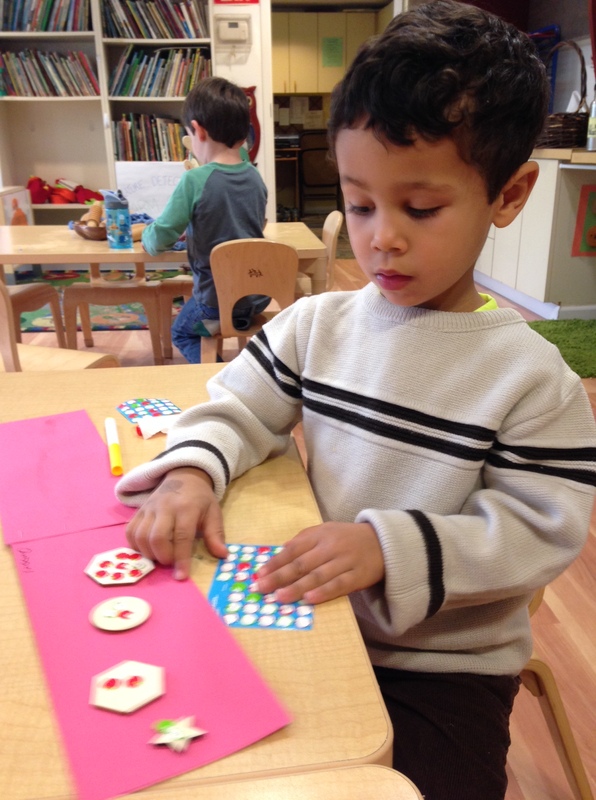 We added acorns and leaf shapes to the play dough for new creations. 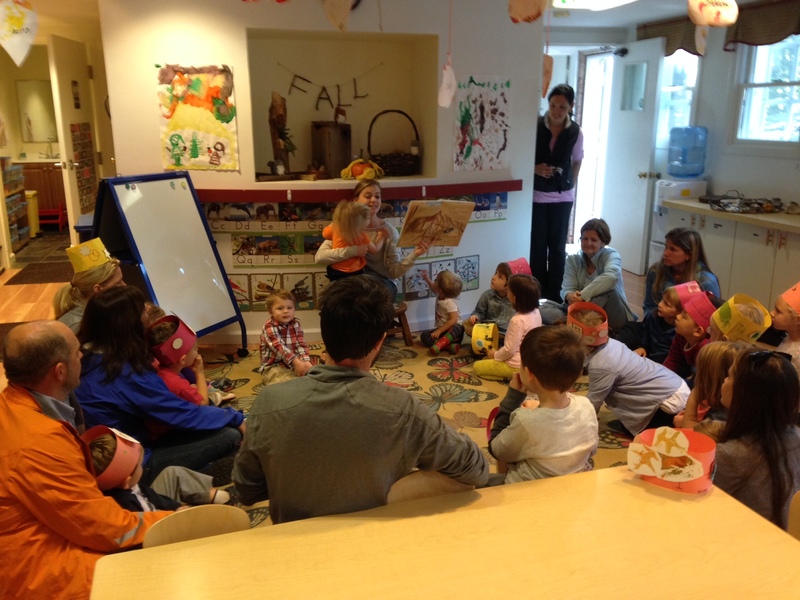 We enjoyed our fall celebration in the classroom which was a huge success and lots of fun. The kids certainly had a blast and we appreciate the efforts from all the families to make the celebration a hit.